Businesses tend to treat social media engagement one of two ways: Soap boxes and dinner parties. Soap boxes are accounts that make it all about themselves. Businesses will get on top of it, grab their proverbial megaphone, and start shouting about their content until they finish and leave. Every once in a while, they’ll return and repeat the process much to the chagrin of passersbys. Instead, they should be treating social media engagement like a dinner party—welcoming people in, and encouraging conversation between the host and the guests. It’s easier to just use social media as a platform to blast out your content. But if you start using it as an avenue to truly engage with your customers, you’ll be able leverage any platform to increase leads, brand awareness, or customer support. Engagement is a key social media metric you need to track. At its core, social media engagement is whenever someone interacts with your social media account. Anyway your people interact with you on platforms such as Twitter and Facebook is social media engagement. And these metrics are crucial for measuring the effectiveness of your social media campaign and accomplishing goals such as generating leads and sales. Remember: Social media is meant to be social. I know. 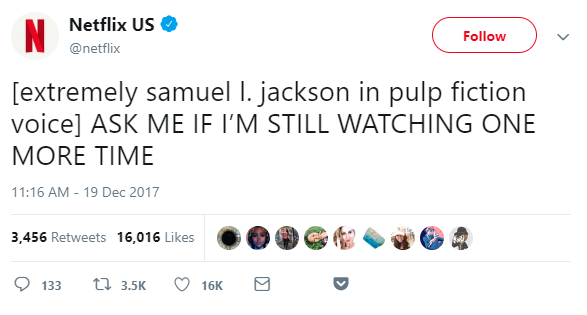 Obvious, right? But like I said, it’s amazing how many businesses get this wrong. Consider again the soap box versus the dinner party. A soap box social media is a one-way dialogue, with only outgoing messages being sent directly from your business’s account. While a dinner party is pure engagement. It’s one-on-one conversations that take place between your business and others. Engagement is what will help you develop the most meaningful relationships on social with potential and current customers alike. One company that does this very well is Nike. In fact, they have an entire Twitter account dedicated to answering questions and providing customer support. 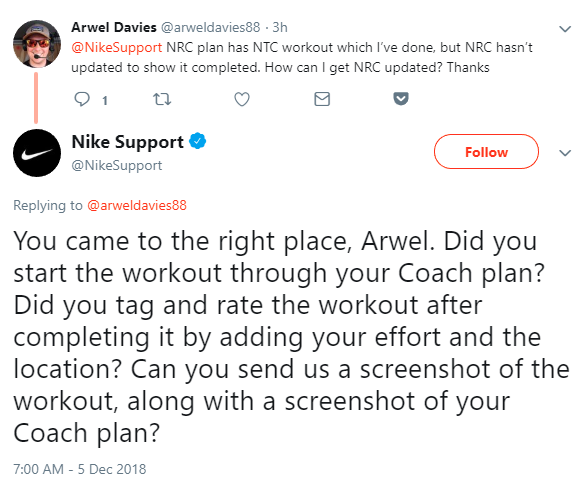 Because of their dedication, people know that if something goes wrong with their products, they can turn to Nike for a helpful answer. 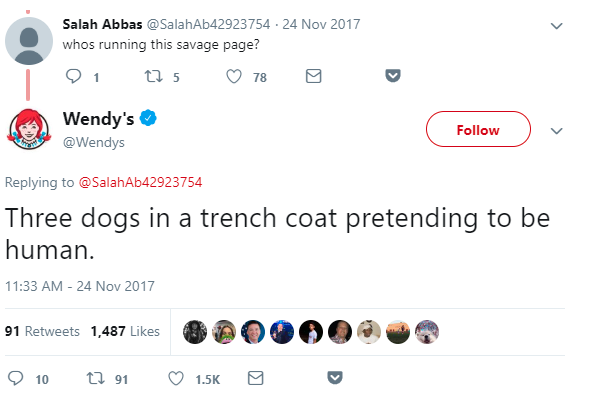 …or do whatever it is Wendy’s is doing. Let’s take a look at the ways you can increase social media engagement across your accounts now. Increasing social media engagement starts with a plan. Allow me to get on my soap box for a moment and say this: YES. 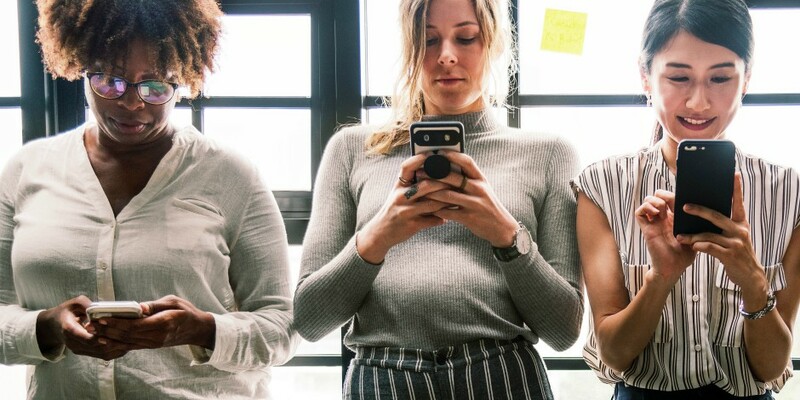 A solid plan for your social media engagement and strategy helps ensure every engagement you have on social media is not only useful to the person you’re talking to, but also beneficial to your business as well. Social media engagement plans are going to vary from business to business. After all, Netflix’s engagement is going to look much different from Charles Schwab’s. However, there are a few key points that any good plan should have. Having a solid goal is crucial for any business strategy—social media or otherwise. What you want to accomplish with your social media strategy depends entirely with what your business has to offer and what best suits your brands. However, you should be able to clearly articulate what your followers gain from interacting with your brand on social. 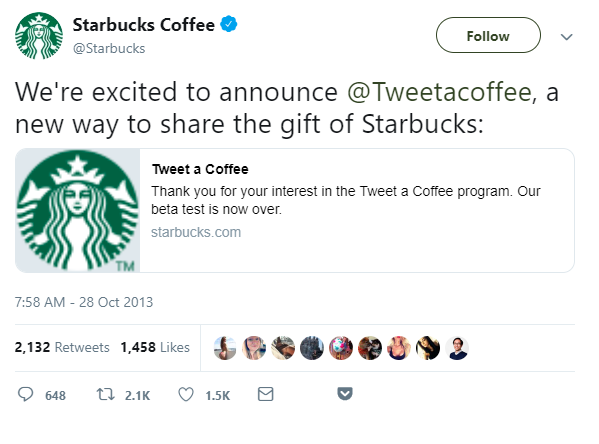 For example, if educating people is where your brand really shines, then your engagement strategy should focus on sharing resources, answering questions, or giving advice. You should also clearly outline how you use engagement on social media to positively impact your business. All are great examples of how your business can define their goals and ultimately benefit from social media engagement. Good social media engagement is determined before you even start typing up that clever tweet. That’s because you need to get into your audience’s head before you even decide on things like the social copy, posting frequency, and what you’re going to share. Why? Simple: Your audience is going to tell you what they want see from your social media account. Too many businesses make the mistake of guessing at what their customers want on social media. And when they don’t engage, the same businesses are left scratching their heads wondering what went wrong? It’s because they didn’t know their audience. To counter that, you need to spend time immersing yourself in your customers’ needs, desires, and paint points. What is your customer telling you they’re struggling with? How can you use social media as a solution to their problems? By listening to your customers, you’ll be able to open up the doors for TONS of social media tactics that’ll engage your audience. Check out our guide to conducting audience research to learn everything you need to know about your target market. Real Simple knows their audience is busy. They’re looking for ways to add balance in their stressful lives. 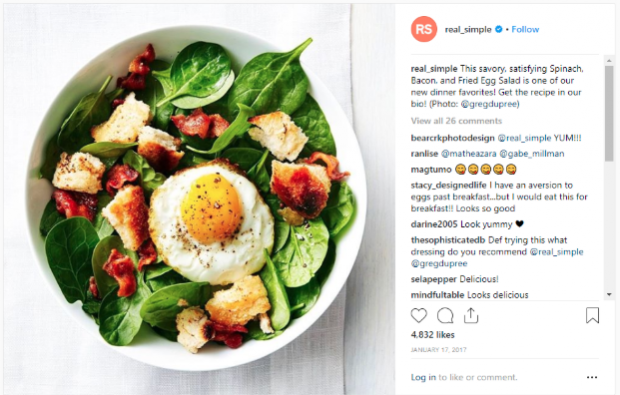 With this information, Real Simple can now address their needs directly on social media. Their Instagram account, for example, frequently showcases content such as self-care tips, meditative yoga poses, and healthy recipe idea. If the content you share on social media helps your audience address their needs and pain points, you’ll have solid social media engagement guaranteed. One simple, but potent, way to engage your audience is by jumping on topical and trending events in the world. By jumping on big, current trends, you’re able to instantly connect with your audience since those events are likely top of mind for them already. This can include things like trending hashtags, sporting events, pop culture news, and holidays. 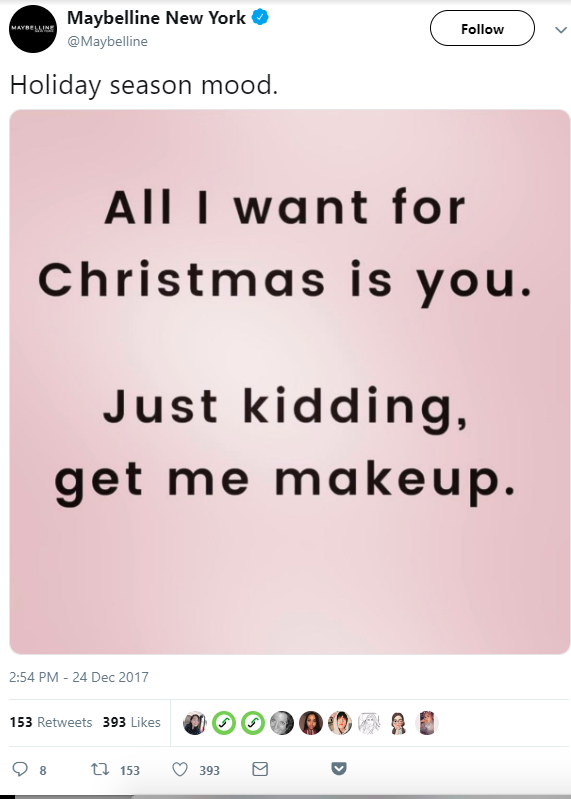 Maybelline got great engagement from this holiday-related tweet. 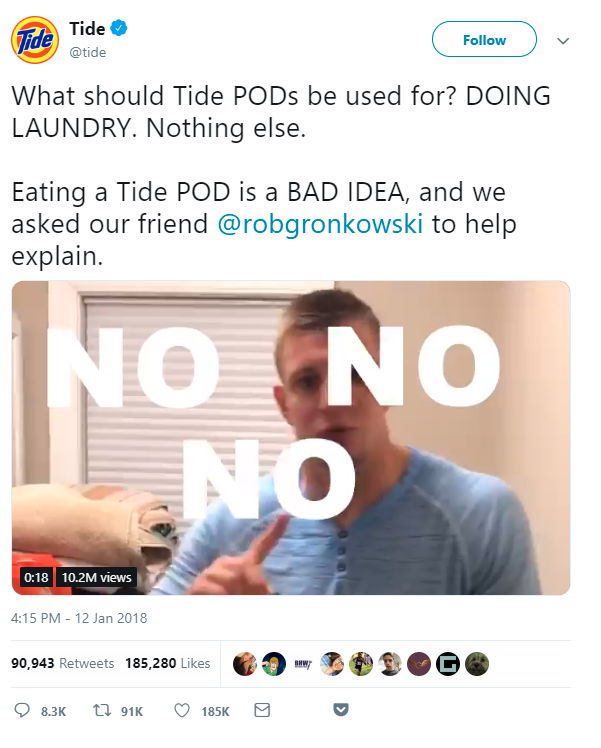 Tide masterfully dealt with the Tide Pod Challenge “trend” with this video that resulted in HUGE engagement numbers. Social media marketers should always be vigilant to what’s trending and popular. There are always moments to stay relevant and engage with your audience. Remember: It’s better to be a dinner party—not a soap box. That means interacting and engaging with your audience on social media. Reactive engagement is the act of answering direct messages, comments, or incoming @mentions your business receives on social. These guidelines should cover when and how your business interacts with the messages it receives directly on social. On the other hand, proactive engagement is when you make the first move. People talking about your brand on social may not be directing their messages to your official accounts. These are potential engagement opportunities you can find by searching for indirect mentions of your brand name (or misspellings) and relevant conversations based on keywords or phrases. Proactive outreach is especially helpful for increasing the buzz around specific campaigns or product launches. We’ve all gotten lost in the vortex of social media at least once. You decide to have a quick peek at Twitter before bed and the next thing you know it’s 2 a.m. and you haven’t blinked in 45 minutes. Getting sucked into social media is hard for anyone to avoid but when it’s quite literally your job, losing focus can have a serious impact on your productivity. Set aside a block of time in your day to handle reactive engagement, and another for proactive. You may also want to plan your day around specific social networks, depending on the size of your communities. Streams: Use streams in your dashboard to see all incoming messages from each social network in one place, instead of checking each social network separately. Lists: Create Twitter lists based on specific industries, events, or hashtags and set each one up in a stream for easy monitoring and proactive engagement. Tags: Use this feature to tag and track positive engagements so you can easily include them in your weekly or monthly reports. Canva makes it easy to crop pictures to the exact specifications of different networks. You can also edit photos directly in the Hootsuite compose box and add text and filters to them. If you want to get a good sense of the effectiveness of your social media campaigns, you’re going to need data—and lots of it. That’s why good social media analytics is important to your brand. Facebook Analytics contains a very robust and comprehensive dashboard with plenty of ways to track your audience engagement. Page insights. A quick summary of your Facebook page’s performance over a day, week, and last 28 days. Promotions. A page that helps you identify Facebook posts that are worth boosting with an ad. Followers. The number of people who follow your Facebook page. Likes. The number of people who have liked your posts. Great to analyze your posts’ popularity over time. Reach. The number of people who have seen your posts on their newsfeed or directly on your page. You can also find the number of people who decided to hide your posts. Page views. The amount of traffic your Facebook page is getting. You’ll also be able to see the areas of your page that are most popular such as the About, Photos, and Home page. Posts. This shows how your individual posts are performing. It includes information on when the best time is to post in order to reach and engage with the most people. People. Demographic information about your followers including gender, location, and language preference. Likewise, Twitter offers a robust set of tools to measure your metrics. Monthly summary. This is a snapshot of your account’s performance. It includes month-by-month summary of things such as follower counts, tweet impressions, and mentions. Impressions. The total amount of times your tweet has been seen. Engagements. The total amount of times a user interacted with your tweet. This includes likes, retweets, and comments. Audience. Demographic information about your audience including thematic interests, gender split, and location. Learn more about Twitter analytics here. If you have a business profile, you’ll be able to access Instagram Insights. This dashboard provides you with all the vital social media engagement metrics you’ll need for your campaign. Impressions. The total amount of times your Instagram post has been seen. Reach. The number of unique views your post has. Website clicks. The number of clicks the link in your profile has received. Profile visits. The number of times a user visited your profile by clicking on your username. Posts. In the posts page, you’ll be able to see the likes and comments on each image. Actions. In the actions page, you’ll find which posts inspired users to visit your profile, follow you, and click on your site. Discover. In the discovery page, you’ll be able to see the percentage of accounts who saw your post but didn’t follow. Very vital to growing your Instagram audience. Learn more about Instagram analytics here. For a while, influencers and brands hoping to increase their reach with Snapchat were limited to the few metrics the platform offered. Unique views. The number of users who opened your Snapchat story video or pic and viewed it for at least one second. View time. The amount of time users viewed your story. Screenshots. The number of times a user screenshotted your pic or video. Completion rates. The number of users who watched your story from beginning to end. Learn more about Snapchat analytics here. We also encourage you to check out these six formulates to measure engagement rate on social media. Ultimately, your engagement efforts should be designed to build new and better relationships with your customers—but how do you measure those? Like all aspects of social media, you need to find a quantifiable way of demonstrating the importance of engagement to set achievable goals and justify the amount of time and energy you spend on doing it. At Hootsuite, we’ve created a metric called “Meaningful Relationship Moments” or MRMs to quantifiably measure the positive impact that our engagement efforts are having on the business. We define an MRM as a social media interaction with a customer, prospect, or community member that results in an observable positive change in sentiment or behavior. Put your engagement strategy into action and save time while you’re at it by using Hootsuite to manage all your social channels from one dashboard. Try it free today.